Okaloosa Gas has granted CBA $3000 to support the Lewis School’s Grasses in Classes curriculum during the 2018-2019 school year. Grasses in Classes raises awareness and individual knowledge of local ecosystems through first-hand field experiences and in-class instruction. 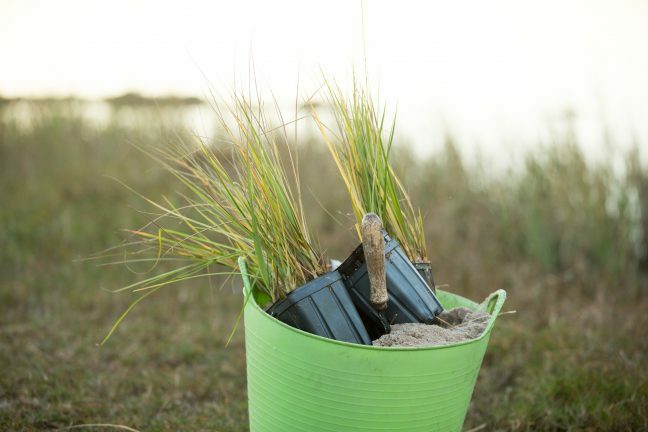 With funding through Okaloosa Gas, Grasses in Classes students will tend salt marsh nurseries throughout the school year and receive monthly education on local estuarine topics that meet Florida’s state science standards from CBA staff and AmeriCorps NWF Environmental Stewards. Periodically, the schoolchildren at the Lewis School will split the grasses to increase the nursery stock. The program instills a love of local habitat and restores shoreline. Okaloosa Gas believes the vitality of their business depends on the health and well-being of the communities where they live and work. Each year they fund a variety of nonprofit organizations and collaborate with their employees to provide additional volunteer support.